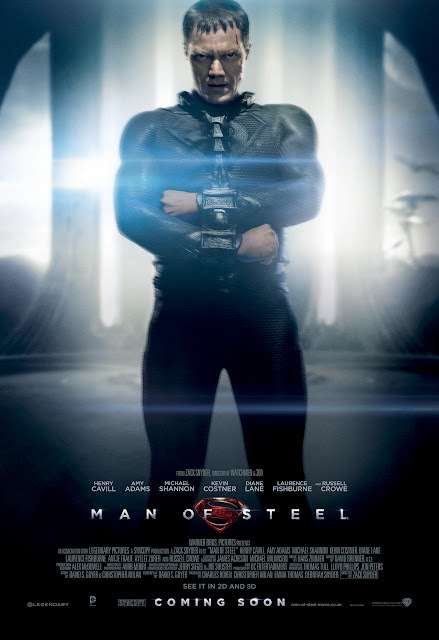 Superman Man of Steel will be in UK cinemas in under 2 months and as Spring sets in the marketing campaign for the Summer blockbuster releases is ramping up, with the first signs of life coming via a Viral campaign wherein General Zod (Michael Shannon) has contacted earth via a static transmission looking for one of his citizens Kal-El. 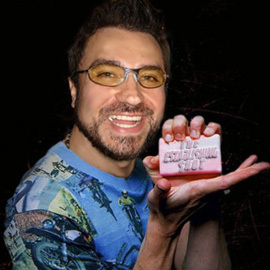 This led us to a site (http://www.iwillfindhim.com/) which was counting down to something. 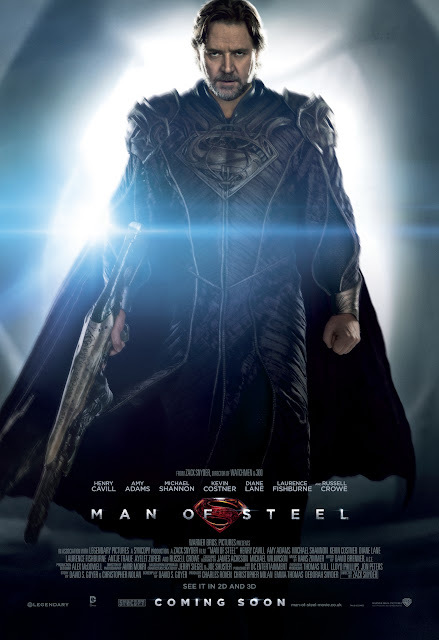 We can expect to see Zack Snyder's Man of Steel in UK cinemas from 14 June, 2013. 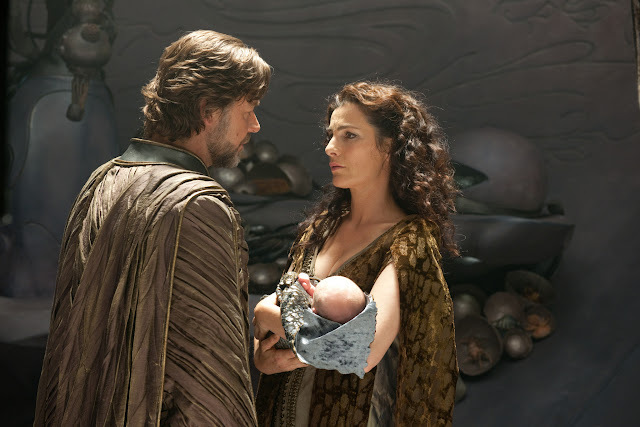 In the meantime below I'll be updating this post with all the official news you need to know about Man of Steel. 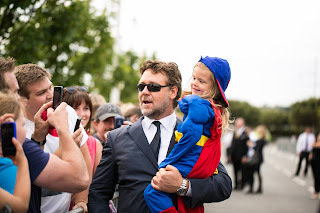 Superman may be the most recognisable and famous comic character of all time - but this works against him when trying to bring him to screen as everyone knows bits of the story already. 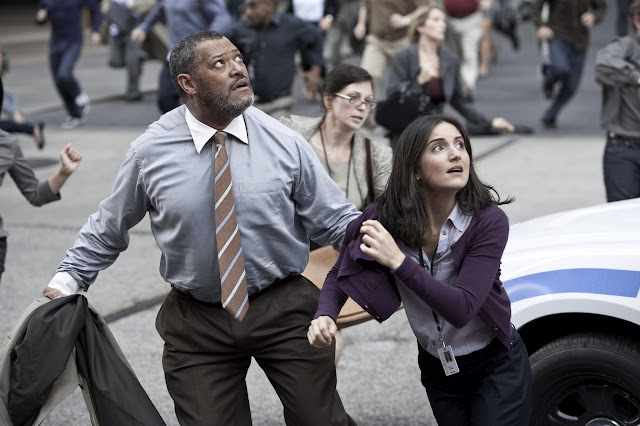 He is also the most powerful character in comics making him unstoppable so how do create the dramatic tension of a threat when you are invulnerable? 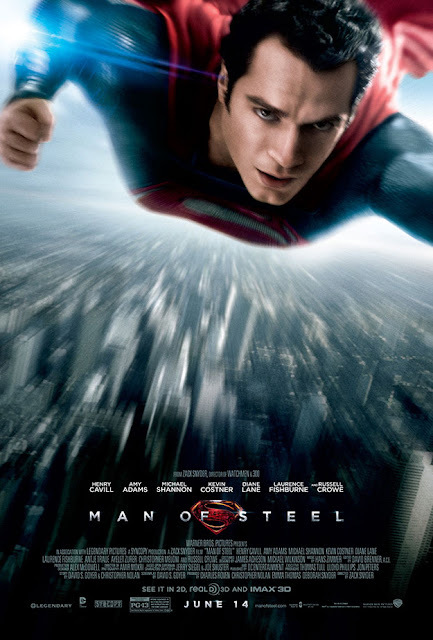 Hopefully Zack Snyder and David S. Goyer have turned this weakness into a strength in updating Superman and Producer Christopher Nolan has learnt a thing or two to contribute from across The Dark Knight Trilogy and using our expectations to their advantage to bring Superman back into popular culture and placing him where he needs to front and centre. 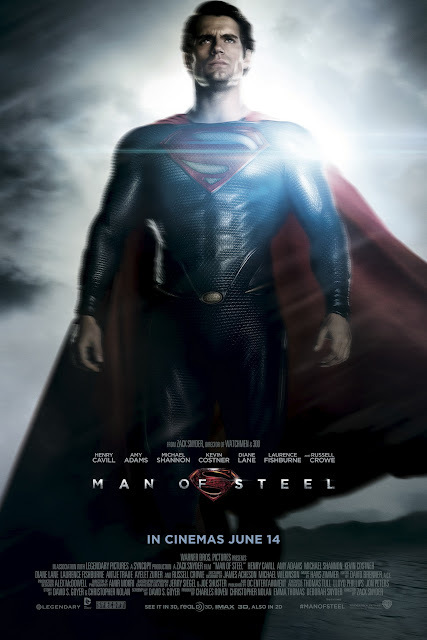 From Warner Bros. Pictures and Legendary Pictures comes Man of Steel, starring Henry Cavill in the role of Clark Kent/Superman, under the direction of Zack Snyder. 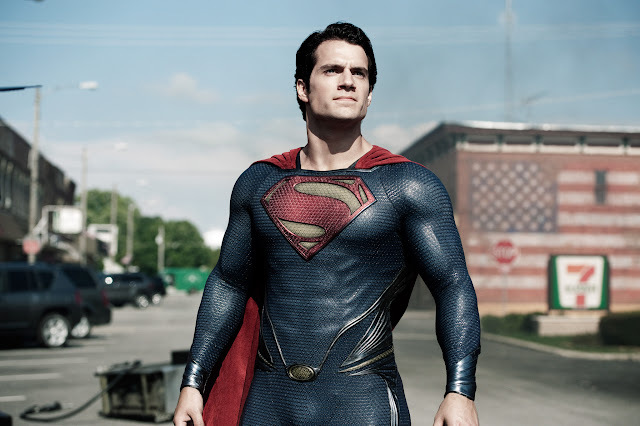 ALL THE MAN OF STEEL UPDATES! 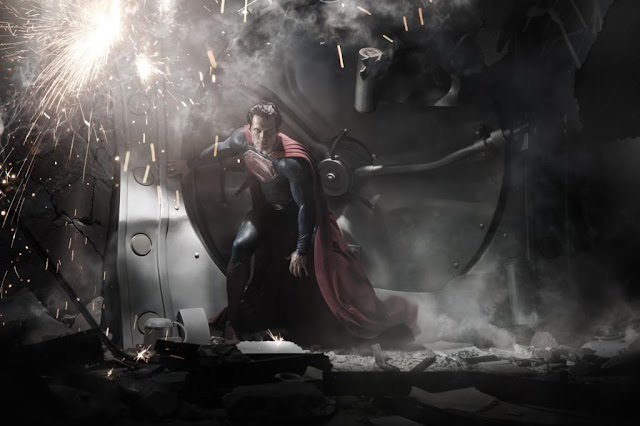 Man of Steel is the 2nd biggest opening weekend of 2013, behind Iron Man 3 at £11.4m. 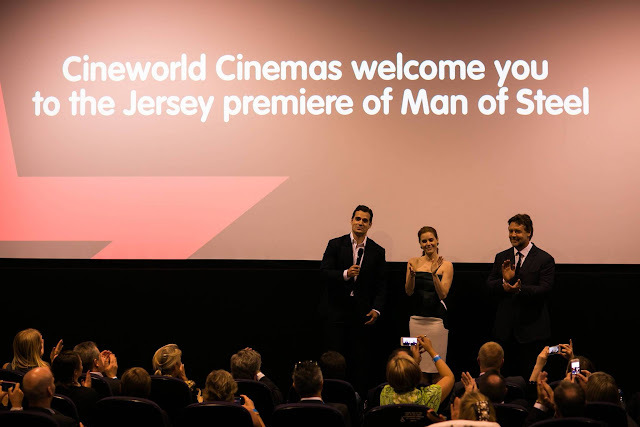 The film is also the 3rd biggest IMAX opening weekend of all time, excluding previews. 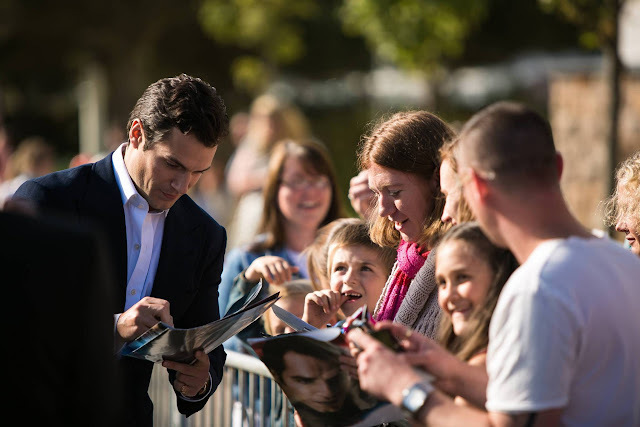 Warner Bros. Pictures’ and Legendary Pictures’ “Man of Steel” has opened to a stellar opening of £11.2 million in the UK and Ireland, marking the biggest opening day of 2013 and the second biggest opening weekend of the year. 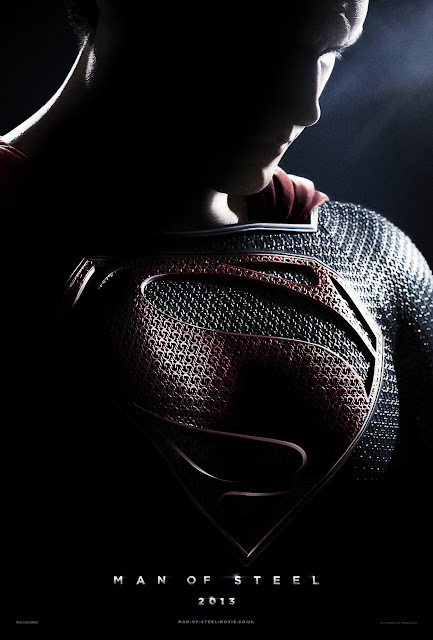 The announcement was made today by Josh Berger, President and Managing Director, Warner Bros. UK and Ireland. 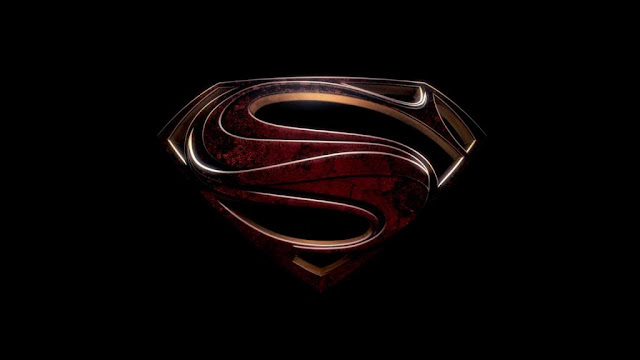 From Warner Bros. Pictures and Legendary Pictures comes Man of SteelTM, starring Henry Cavill in the role of Clark Kent/Kal-El under the direction of Zack Snyder. 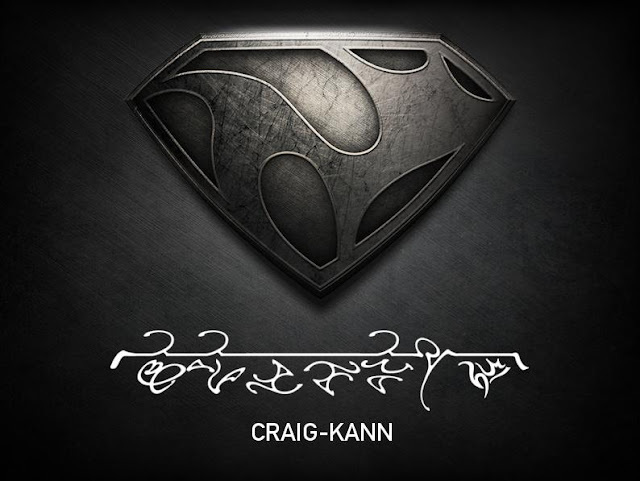 2 New Man of Steel banners released! 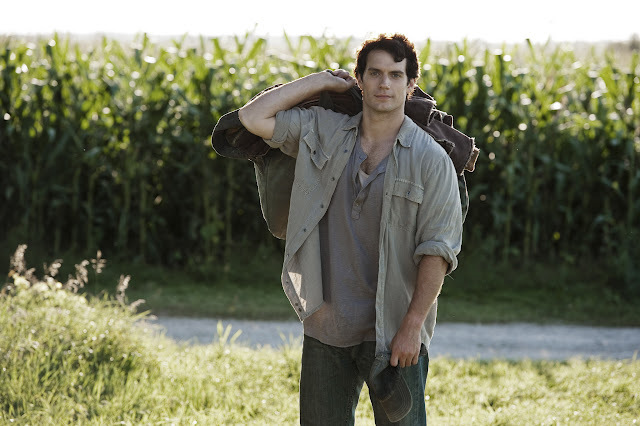 We get a better of Superman in custody and the military standoff in two new Man of Steel Stills. 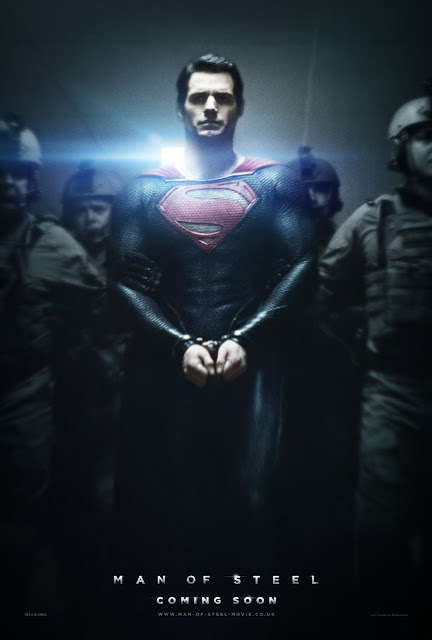 In the first we get a better look as Superman (Henry Cavill) is being led down a corridor presumably to be questioned by Lois Lane (Amy Adams) as seen in the trailer. 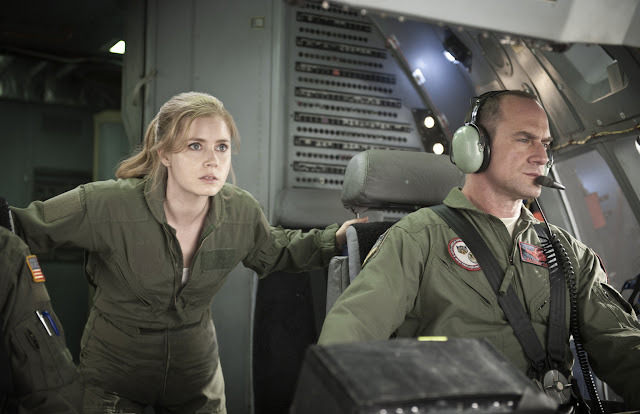 You can see Christopher Meloni as Colonel Hardy on the right. 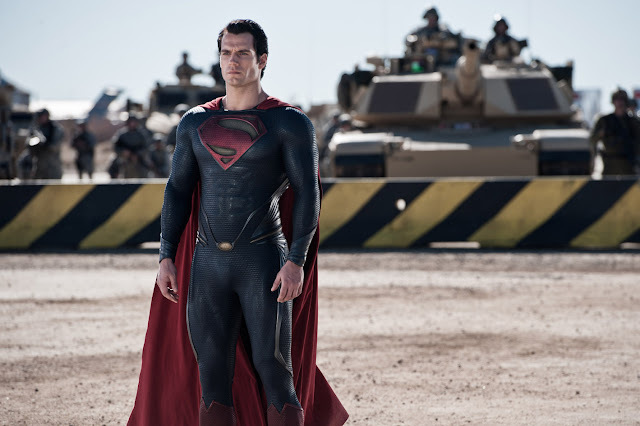 The second still shows Superman surrounded by the American military at a stand-off. What is he looking at as the army is behind him? 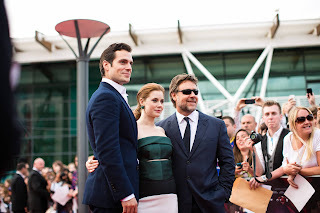 We've just been told that Sky has two tickets to give away to the UK premier of, the much anticipated, Man Of Steel. 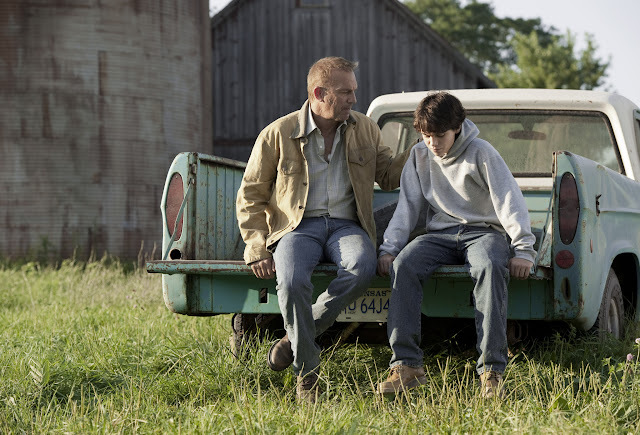 Man of Steel gets two teaser trailers each representing the two fathers of Kal-El / Clark Kent with Kevin Costner as Pa Kent his earth father and Russell Crowe as Jor-El his Kryptonian father. Each gives him advice on his future. 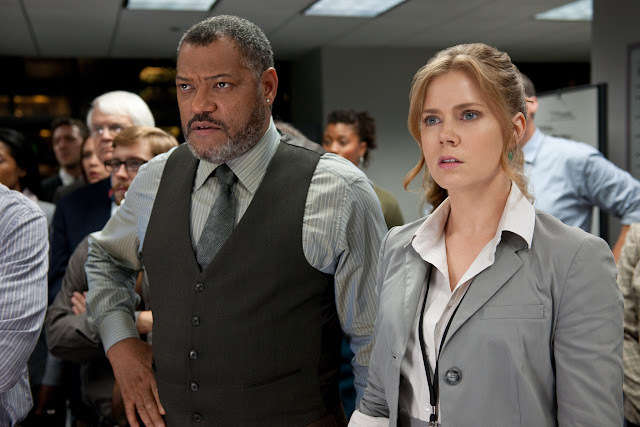 A young journalist is forced to confront his secret extraterrestrial heritage when Earth is invaded by members of his race.